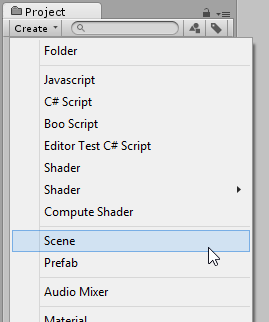 Save Scene Saves the changes to the selected scene only. 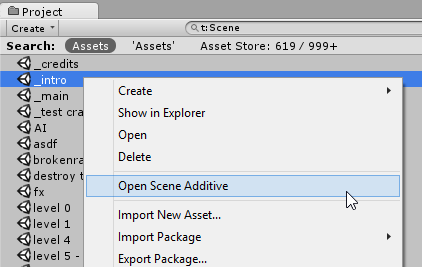 Save Scene As Saves the selected scene (along with any current modifications) as a new Scene asset. Save All Saves changes to all scenes. Unload Scene Unloads the scene, but keeps the scene in the Hierarchy window. 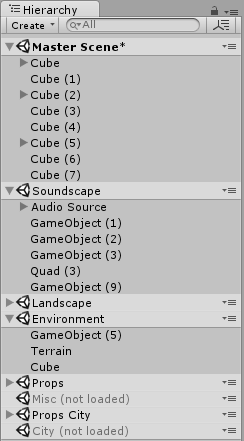 Remove Scene Unloads and removes the scene from the Hierarchy window. 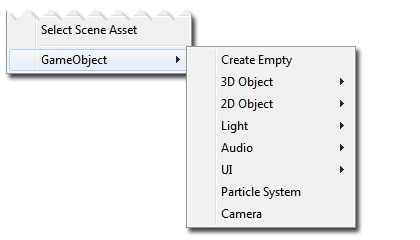 Select Scene Asset Selects the scene’s asset in the Project window. 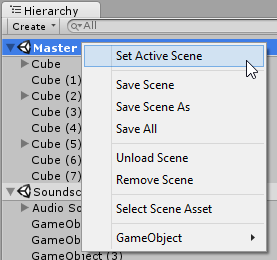 Remove Scene Remove the scene from the Hierarchy window.